Enjoy the freedom, total privacy and magic of this stunning seaside holiday home! Owned by the same family for over 100 years. 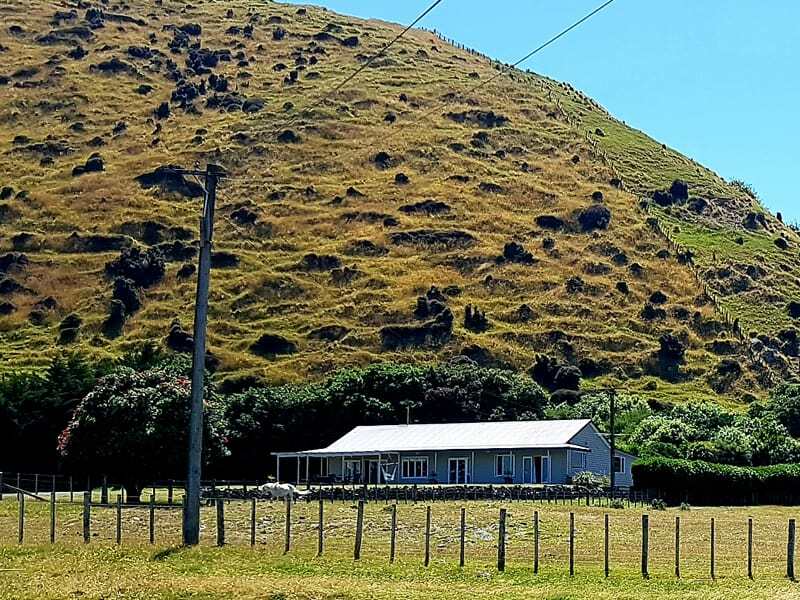 Washpool is a 2,000 acre sheep and cattle station, and now you can experience the privacy, exclusiveness and romance this location has to offer for a relaxing holiday. Palliser Bay is rich in Maori and early European history. Remains of the earliest house site in New Zealand can be visited at nearby Omoekau Valley. The settlement excavations date the site at 1200AD one of the oldest inhabited areas in New Zealand. Enjoy the outside verandah for sunbathing, dining or relaxing. Private & peaceful. Also available a double garage with internal access. An inviting living space with wide bi-fold windows and doors and a large, sunny bay window, all with coastal views. Also available a wood burner for warm and cosy winter months. Included stereo, telephone, TV and video/DVD. Queen bedroom 1, with French doors to deck and lawn and magnificent views over Palliser Bay. Linen provided. Queen bedroom 2, with French doors to deck and lawn and magnificent views over Palliser Bay. Linen provided. 1 Twin King Single bedroom, with stunning sea views. Linen provided. 1 Spacious twin single bedroom. Linen provided. Complete bathroom. With large bi-fold windows and sea views from the bath, shower and toilet. Complete bathroom. With shower, toilet and laundry. No minimum stay. Additional $150 cleaning fee for a 1-night stay. Email or call us to secure your booking. 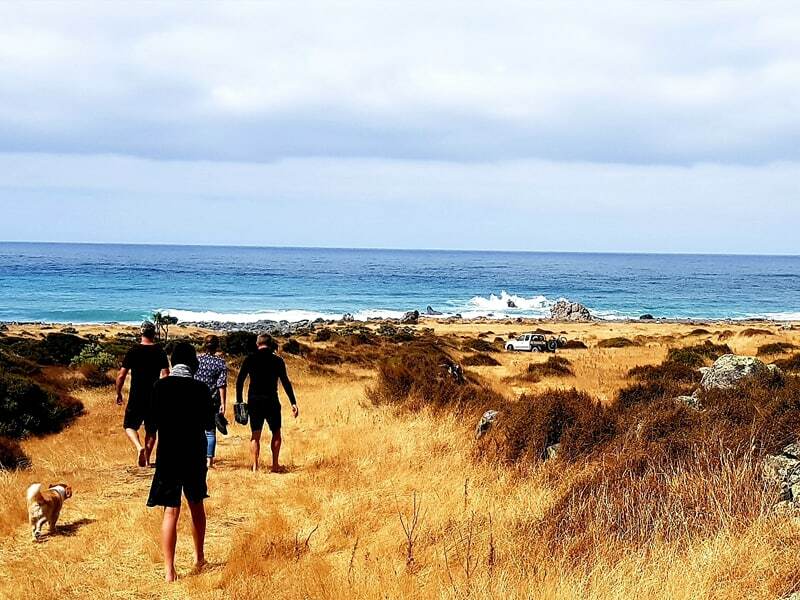 Scenic walks on the farm / bush / pinnacles / lighthouse, surfing, diving, kayaking, swimming in the lagoon / river, mountain biking, hunting, fishing, seal watching. 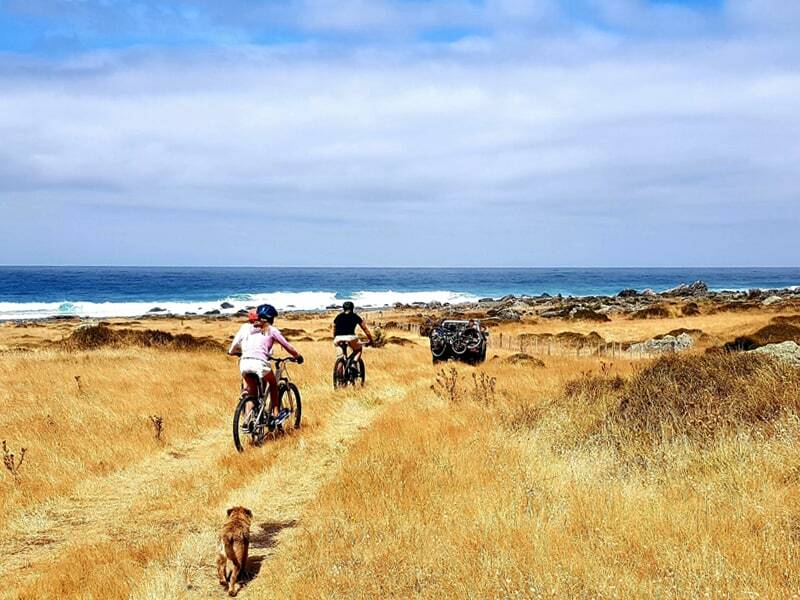 Make the most of the magnificent coastline views and spectacular sunsets. 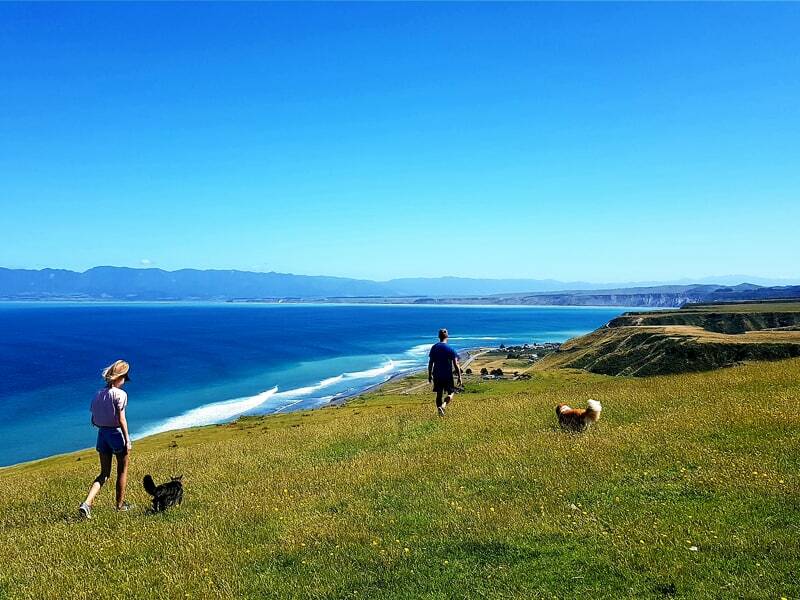 Only 1.5h from Wellington, Cape Palliser Bay is the perfect spot to relax and enjoy the scenery. Unwind in this well-equipped, stylish, new house. 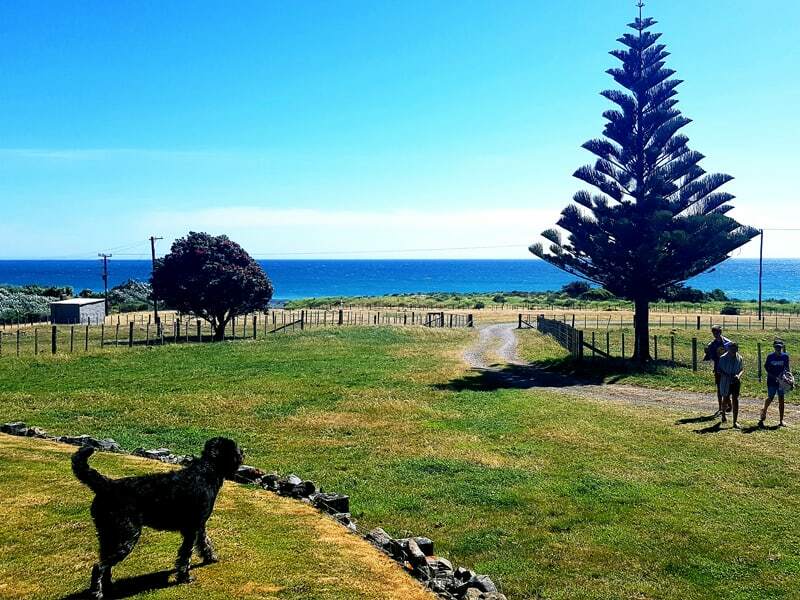 4 spacious bedrooms with stunning views over Palliser Bay, 2 bathrooms, an inviting living space, BBQ, garage and much more! 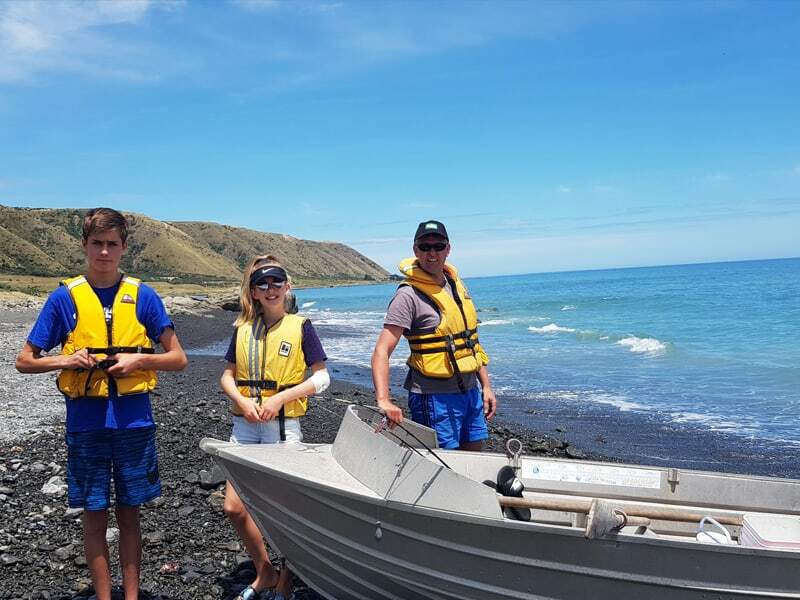 Every effort has been made to ensure your enjoyment of the rugged beauty of Palliser Bay in perfect comfort. 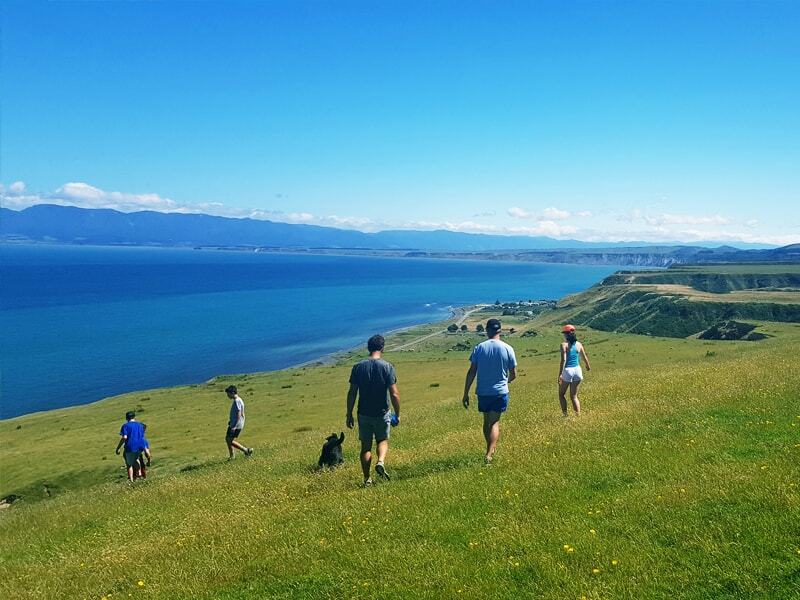 The beach house is located right on the coast, next to the Makotukutuku (Washpool) river bed, only 40-minute drive to the renowned Martinborough vineyards and 30 minutes to the Lake Ferry Hotel. Many options to enjoy a nice walk on the beach, bush or river. 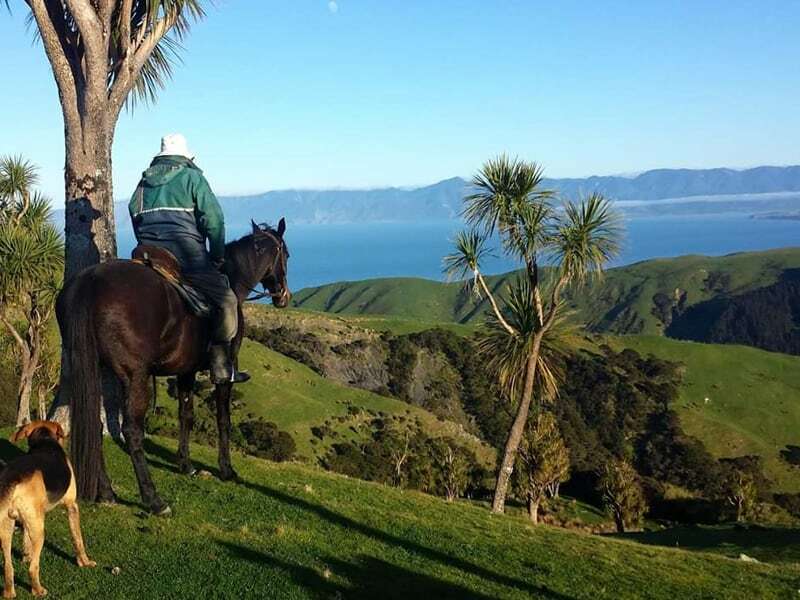 You can also go tramping on the Haurangi mountain range. 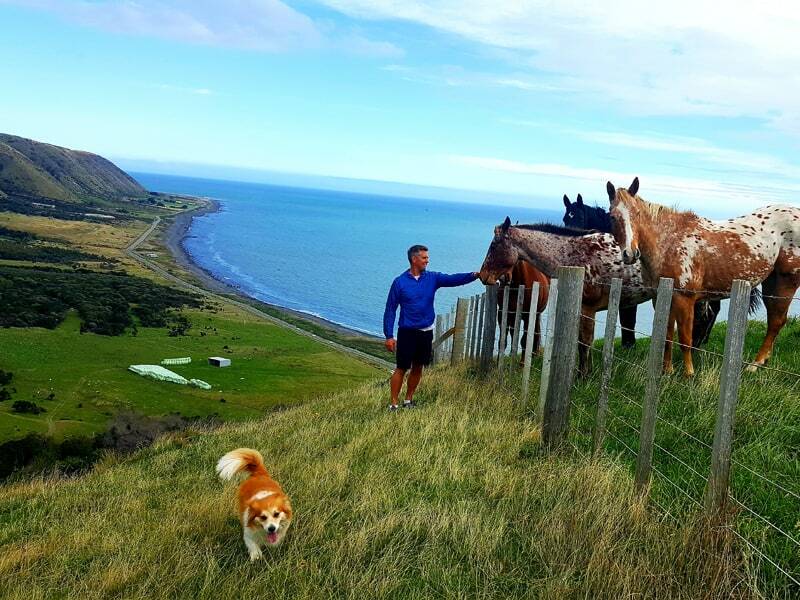 Easy access to the Haurangi mountain range for deer and pig hunting, and plenty of options for the fishing enthusiasts. Washpool is located near Ngawi fishing village and its annual fishing contest in February. 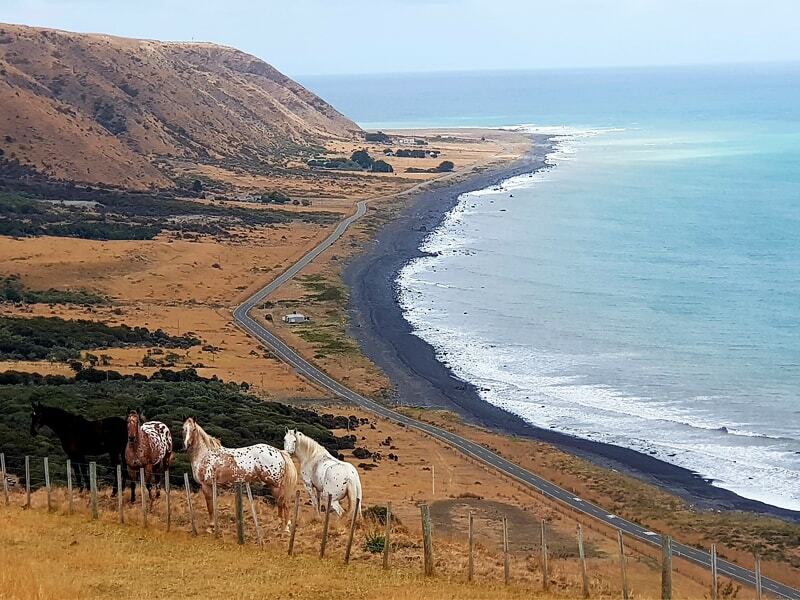 Cape Palliser Bay offers a great variety of options for the adventure seekers: surfing, diving, mountain biking, swimming in the river or the lagoon, horse riding…Ngawi has a unique 9 hole golf course for your entertainment. 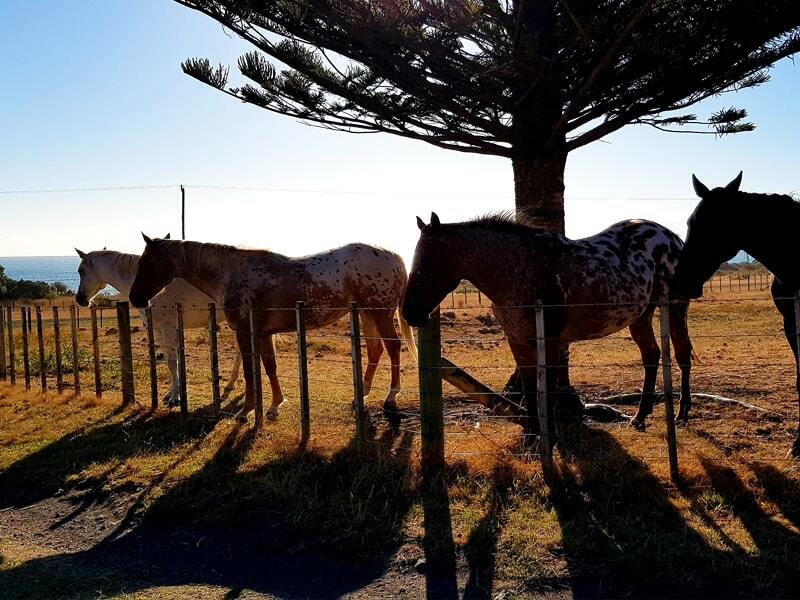 The Washpool Station horses are available for riding, please note this is for competent riders only and individuals must accept full responsibility for their own safety. Kayaks with life jackets are also available to visitors. Users must accept full responsibility for their own safety. Relax and enjoy stunning sunsets from the house, go for an evening picnic to the river or a BBQ on the verandah. You can also visit Ngawi for real NZ Fish n Chips. Visit the fur seal colony. Cape Palliser lighthouse – Installed in 1897. Climb the 250 steps to the top! Once there, it’s easy to see why this area of the Pacific Ocean was known for seafaring disasters. 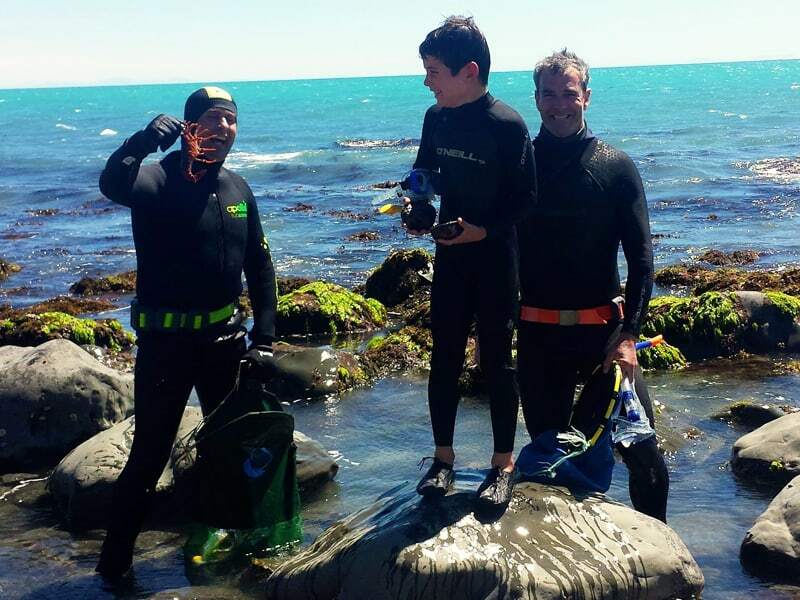 During the 19th century, there were about 20 ships wrecked in or near Palliser Bay. Putangirua Pinnacles – formed over 120,000 years by heavy rain and wind which gradually eroded an ancient gravel deposit, eventually forming spectacular individual Pinnacles or ‘hoodoos’. Māori called the cape Mātakitaki-a-Kupe (the gazing of Kupe), the pinnacles name ‘Putangirua’ means the sails of Kupe after the famous Polynesian explorer. The Pinnacles were used as the location for Dimholt Road in the The Lord of the Rings, Return of the King.